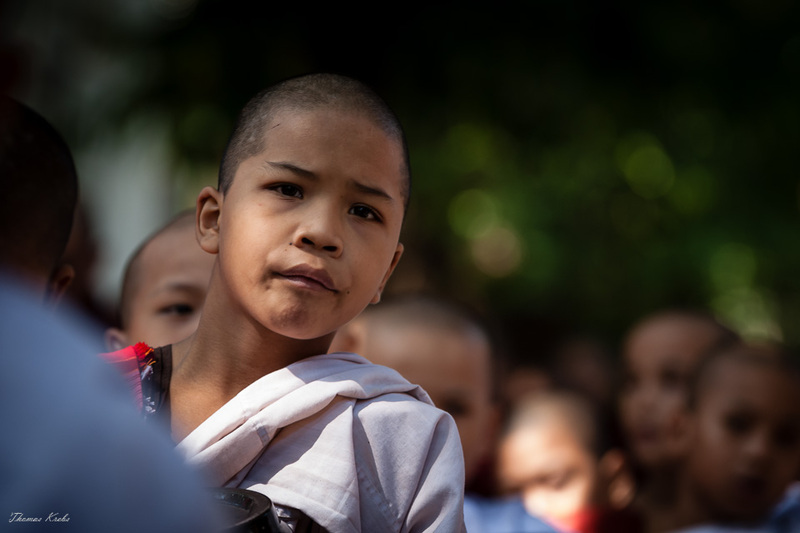 This young monk was waiting for lunch. Nicely done, he looks like he is very much anticipating the meal! Klasse mit dem Lichteinfall, hebt das Hauptmotiv schön hervor.